Chulux Coffee Maker Just $39.99! Down From $70! PLUS FREE Shipping! You are here: Home / Great Deals / Amazon Deals / Chulux Coffee Maker Just $39.99! Down From $70! PLUS FREE Shipping! 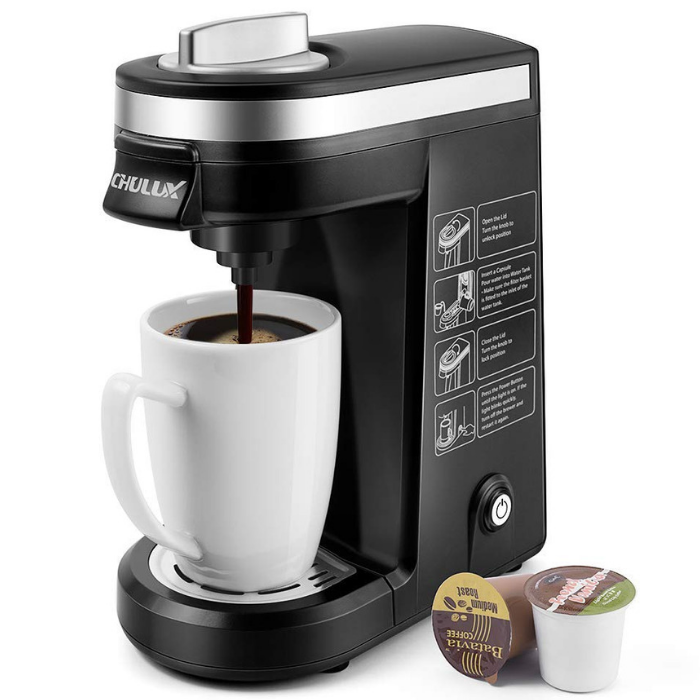 Amazon is currently offering this Chulux Single Serve Coffee Maker for just $39.99 down from $69.99 PLUS FREE shipping! If you love choices when it comes to single cup brewing, CHULUX Single Serve Coffee Brewer is designed for you. It is the ideal solution for coffee drinkers who want to begin a cup of coffee in their busy morning routine. Fresh and hot coffee brews right into your cup or mug,there’s no mess left to clean and no waste. The perfect brewing system for coffee lovers on the go,delivers a delicious coffee experience,one cup at a time,any time of day. It is 4-star rated with more than 2000 reviews!